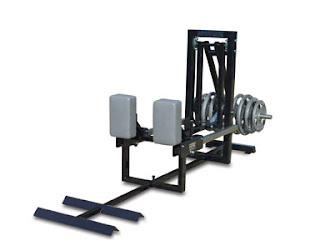 Information on MyoQuip's uniquely innovative strength equipment. Commentary on rugby football, other strength-oriented sports and sport-specific accommodating resistance technology. 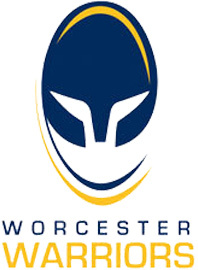 Gen3 Kinematics are delighted to announce they have agreed deals with both Worcester Warriors and Gloucester Rugby to supply them with their unique MyoTruk and MyoThrusta strength training systems. Gen3's Chief Executive, Alasdair Naisbitt says: "With nearly half of the Aviva Premiership now using MyoQuip technology, as well as the England national team, we are sure to see the benefits associated with our equipment increasing every season. Exeter have been leading that charge, having been the first to take it on when they were promoted 2 years ago. Their progress in that time has been nothing short of phenomenal." 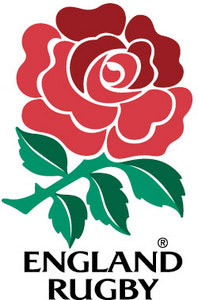 Gen3 Kinematics is thrilled that they will be associated with two of the strongest teams in English rugby. 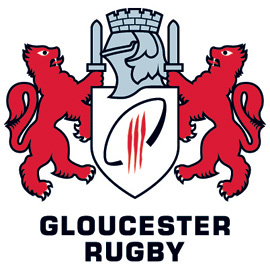 Business development manager, Andy Naisbitt says: "We are delighted to achieve deals with both Gloucester and Worcester. It is great to have the recognition from these clubs to the benefits they have received through the use of our equipment." The MyoTruk and MyoThrusta utilise unique state-of-the-art technology that eliminates biomechanical disadvantage in the lower limb triple extension movement, leading to safer and more effective strength training. The video below shows a MyoThrusta being used in single-legged mode at the Sydney Uni gymnasium. Note the use of additional elastic bands connecting the weight bar to the machine frame. These are designed to increase tension as the exerciser moves to full leg extension. 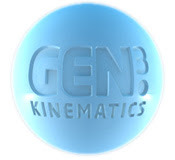 Gen3 Kinematics is happy to announce that they are to continue their relationship with England Rugby to supply them with their unique MyoTruk for the forthcoming Barbarians game. Having used it previously throughout the 2012 6 Nations series, England have once again requested the use of the machine, having been impressed with the benefits it brings. England tour South Africa this summer where they will likely face players who have experience of MyoQuip Technology from clubs such as the Natal Sharks and the Golden Lions. The MyoTruk utilises unique technology that eliminates biomechanical disadvantage in the lower limb triple extension movement, leading to safer and more effective strength training. The Exeter Chiefs have just completed a very successful second season in the Aviva Rugby Premiership, building on their 8th position in 2010-2011 to finish 5th and earn a place in the Heineken Cup competition next season. When the Chiefs were promoted into the Aviva Premiership in season 2010-2011 they were widely tipped to be a one season wonder.They faced a difficult transition to the premier league with no time to buy in players to strengthen their squad and the need to adapt quickly to the greater physicality and speed of play in the top competition. "We are really pleased with the performance gains that the players have achieved through using Gen3's MyoQuip equipment. Our testing scores have been consistently good by all of the players and the guys are now fitter and stronger than ever. We use their equipment heavily in our programmes and It has definitely helped us improve our performances as we continue to progress in the Premiership. I would recommend Gen3's MyoQuip equipment to anyone." Reviewing that season Paddy acknowledged that the MyoQuip machines played a pivotal role in dramatically improving the strength and conditioning of the squad. Significantly they resulted in greater leg strength and driving power for both forwards and backs without any reduction in speed - crucial in top class rugby where backs can play like forwards and to cross the gain line you have to be more powerful and stronger. They also reduced the risk of injury in training. One clearly observable benefit was the fact that Exeter were equal top in the competition in terms of points scored in the last 20 minutes of matches. The Chiefs have pursued a deliberate strategy of building strong links with local colleges and with Exeter University. The University's Director of Rugby, Keith Fleming, feels the success of the Exeter Chiefs has given a big boost to Exeter University Rugby. It used to run 3 rugby sides and now runs 9 and rugby has become the biggest club in the Athletic Union overtaking football. Keith says, "The University can provide the Chiefs with a ready made pool of talent." To strengthen this pathway the Exeter University Sports Association has bought the same MyoQuip equipment as used by the Chiefs for its High Performance Gym, which has recently been expanded. "By mirroring the equipment used by the Chiefs - especially the strength and conditioning equipment - we can do the same type of exercises and achieve the speed, strength and power results to meet the Chief's standards which should also reflect in our BUSA performances. It's a win, win association", says Keith. At the recent Aviva Premiership Rugby Awards the Exeter Chiefs received two awards. Head Coach Rob Baxter was named QBE Director of Rugby for the season while winger Gonzalo Carnacho was declared Gatorade Game Changer of the season, an award based on official statistics for all players such as metres gained, number of carries, turnovers won, and tackles made. One of the Chiefs' signings for next season is the 33-Test Wallaby Dean Mumm. Dean should have no difficulty working out with the MyoTruk and Myothrusta as he has been a member of the very successful Sydney University Football Club for the past 10 years. The Sydney University gymnasium is where the MyoQuip machines were first developed and tested. European rugby clubs which have installed MyoQuip machines, the MyoTruk and MyoThrusta, have had stunning success in reaching the Finals of prestigious Cup competitions this season. The Heineken Cup Final will be an all Irish affair between Ulster and Leinster. Two other Clubs which are MyoQuip users, Exeter and Toulon, have qualified for next year's Heineken Cup. French Clubs, Toulon and Biarritz, will meet in the Final of the Amlin European Challenge Cup. Exeter were quarter finalists in this competition meaning that 3 of the top 8 teams use MyoQuip machines as the basis of their lower body strength training. All of these clubs were supplied by MyoQuip's European manufacturer/distributors, Gen3 Kinematics. The sales to Toulon and Biarritz were made by Paul Dearlove who distributes MyoQuip machines throughout France. imsorrywhatnow: I'm sorry, what now?